Today is World Refugee Day. I just learned that the number of global refugees has topped 50 million for the first time since WWII. This figure includes internally displaced people (over 33 million) as well as international refugees. Here on Whidbey Island in Washington, where I'm attending the fourth and final gathering of a seasonal retreat series, refugees seem far away. Yet Ethiopian refugees have been arriving since 1980 and now number at least 10,000 in the Seattle area, according to a book published just last year. One of the authors, Joseph Scott, even calls the resettlement of Ethiopians "the first significant migration of black Africans to America since slavery times." 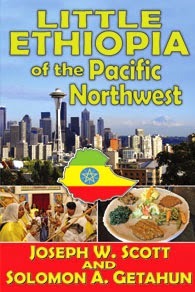 Though I have been to the Seattle area four times in the last nine months, I have not made any connections with the Ethiopian community here. I will be back sometime to do that, hopefully through referrals from Bay Area residents. 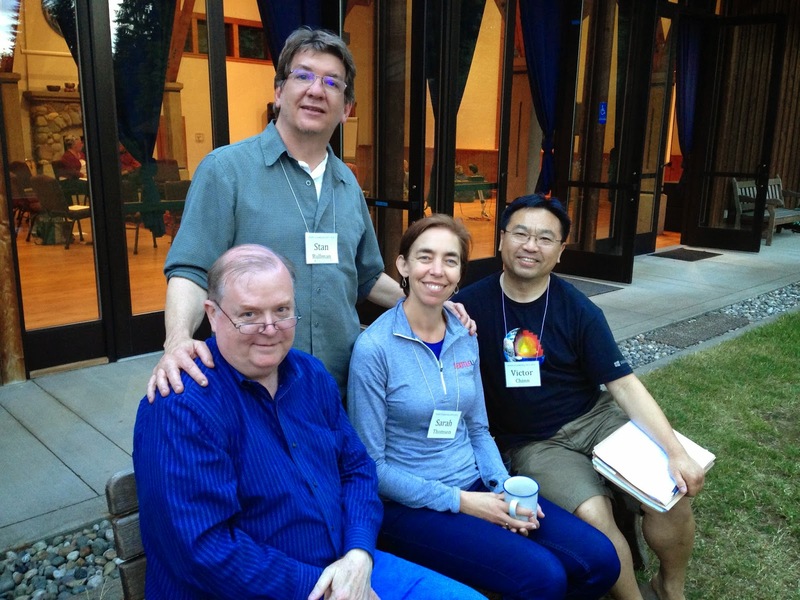 Instead, this retreat series at The Whidbey Institute has allowed me to reflect deeply about my path in life. And for the time being that path is this Amharic Project. My path ahead is certainly not clear, but this is where I want to put my energy right now. The Whidbey retreat series has created many conditions to help me make this decision. Over the four seasonal meetings, thematically connected to the natural world, we 20 participants have read poetry and essays, written personal reflections, and engaged in meaningful discussions. But my two most significant moments came during highly structured times: walking the labyrinth and discerning next steps with a Clearness Committee. My wife Suzanne initially introduced the idea of me studying Amharic full time. 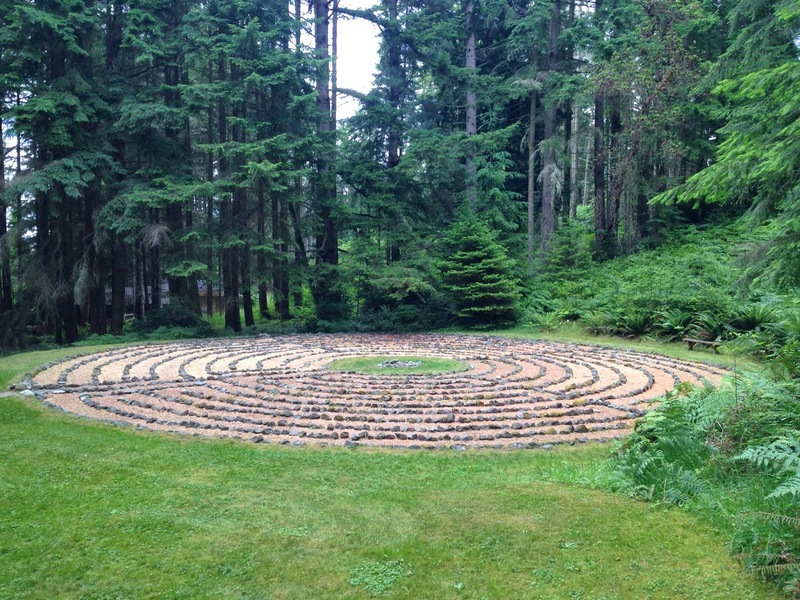 When I came to Whidbey for the spring retreat in April, I decided to test the idea by walking the beautiful labyrinth at Chinook (the name of the land on which the institute rests). Setting my intention, I started walking the path; the twists and turns helped me recognize that many obstacles would seem to block my way, and that I would often feel further away from my goal even after a lot of effort. It really was a powerful exercise, and I felt greater clarity when I got to the center. Nevertheless, I still wanted to call a Clearness Committee together so I could talk through my plans, my doubts, my fears, my hopes. The function of the Clearness Committee, which comes from the Quaker tradition, is to listen to the focus person (me in this case) and ask open, honest questions about a particular issue on which the person seeks guidance. In short, members of the Committee hear the focus person "into deeper speech." Fortunately, exactly the right people showed up for my Committee. In fact, it was Pete Smith who connected me to Jan, my language acquisition coach. Had he not been part of my Committee, Jan and I would never have met. Now at the final gathering, we are working metaphorically with fire, the element of summer. I spoke last night about how I am feeling a "spark" doing this project and that I feel like my work is "heating up." I'm also surprised that I'm enjoying writing about the process as much as actually learning Amharic. It's a terrific challenge to make connections across language and culture. It's as if flames are licking at different elements of my life and the kindling is starting to catch fire. I look forward to the conflagration that will illuminate everything. 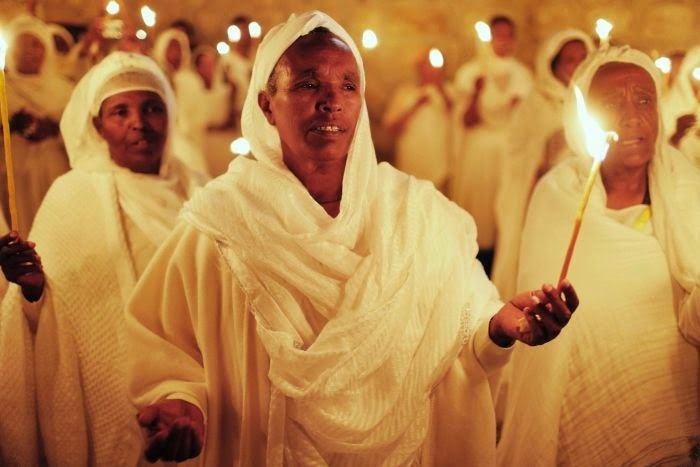 Believers claim that a divine fire from heaven ignites the church flame to acknowledge the resurrection of Christ. The annual ritual dates back to the 4th century AD, and since that time many have tried to debunk the event. In 2005, a Greek historian of religion showed on television that candles dipped in white phosphorus could self-ignite after 20 minutes or more of contact with air. Apparently, heaven doesn't need to supply anything. Yet when that fire is lit, the source of the inspiration doesn't matter. We put in the work, with intention and patience, and we never know how, when, or from where the "Aha" moment will come. As I learned from The Life of Pi, when the truth doesn't matter, go with the better story. In the case of the Holy Fire, the distinction between fact and fiction becomes irrelevant; it's the felt experience of the fire that is real. Regardless of the role this retreat series has played in my life, my candle is currently burning and I can feel the heat.